Tenryū-ji (formally Tenryū Shiseizen-ji) is the most important temple in the Arashiyama district of Kyoto. It is a UNESCO World Heritage Site. It is also knows as the 'Temple of the Heavenly Dragon'. 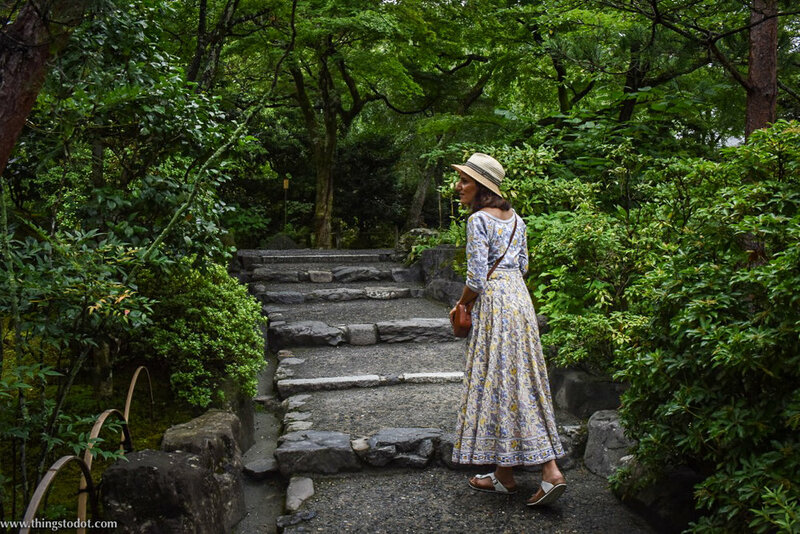 The Tenryu-ji garden has been designed by the famous garden designer Muso Soseki in the fourteenth century and still retains the same form. 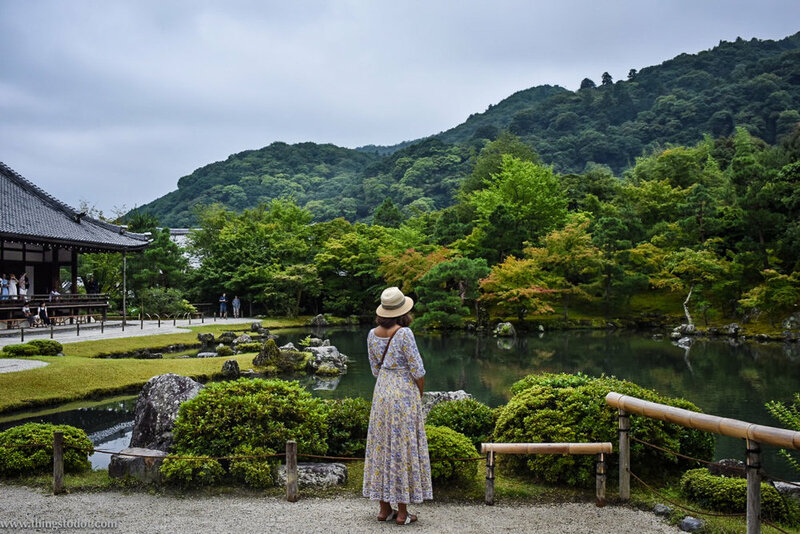 The garden features a central pond surrounded by rocks, pine trees and the forested Arashiyama mountains. Muso Soseki was also Tenryuji's first head priest. It is one of the best examples of 'shakkei' in Japan which means 'borrowed scenery'. 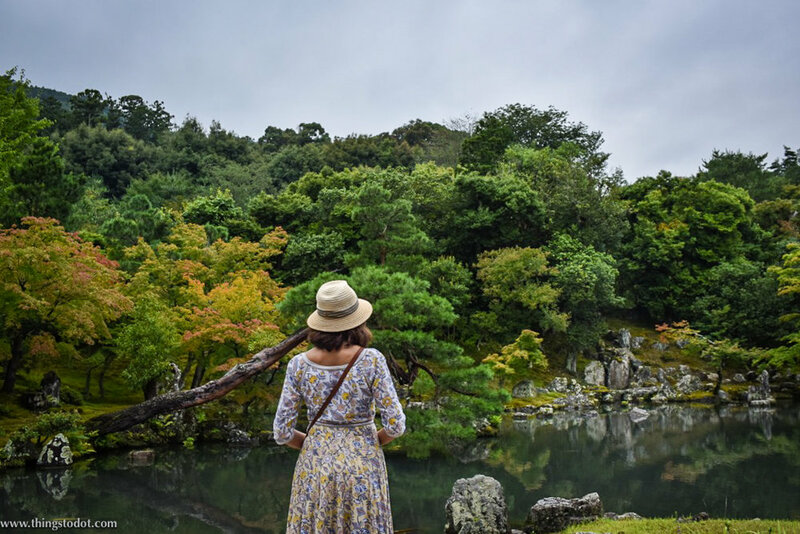 You can combine your visit to Tenryu-ji with the Arashiyama Bamboo Grove and the Okochi Sanso Villa. It is located a few steps from the main bus stop Tenryuji-mae, and the Arashiyama Station. As you walk around the gardens, you will find a frog-fountain where you can throw a coin for good luck. If you cannot find the fountain on your own, ask somebody to guide you there. In my visit to Japan, I found that very few Japanese spoke English, which is why it is good to have an iPhone/smartphone handy with google maps or a translating app, incase you want a local to help you give directions.